Ask your 20/20 EyeCare professional about Bausch + Lomb ULTRA® For Presbyopia designed to provide clear vision – up close, far away, and in between. Download the certificate for your free trial. 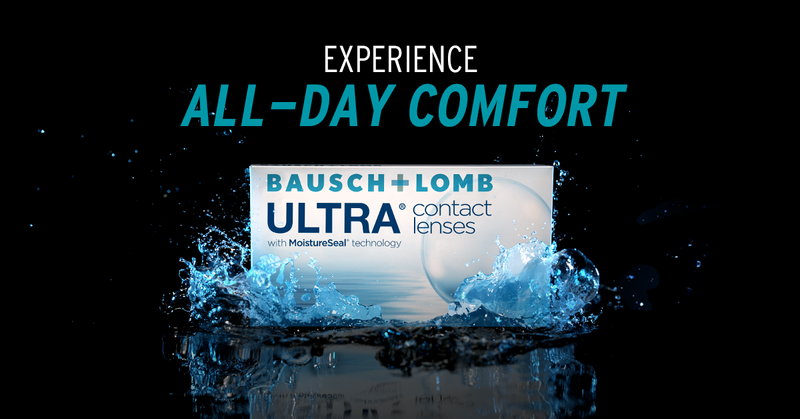 Experience Bausch + Lomb ULTRA® with MoistureSeal® technology. The lenses that maintain 95% of their moisture for a full 16 hours. Download the certificate for your free trial. Five star. Appointment on time, very friendly people. Great Doctor. All the latest equipment. For ten years I've been coming here and always look forward to the fun, efficiency and professionalism of the whole team! I want to add that Stu is exceptional! We love dr Zwelling. It was myself and my 2 teenagers. The 3 appointments in a row ran super smoothly. Thank you folks! Especially doctor Jennifer! I had no appointment yet was taken care of in a timely manner! Copyright 2016 20/20 EyeCare | All Rights Reserved | The content of this site may change without notice.